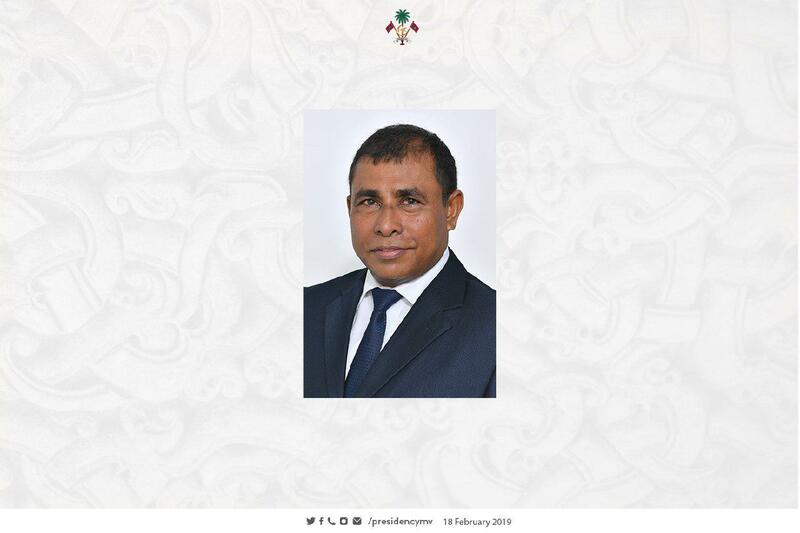 President Ibrahim Mohamed Solih has appointed Dr. Abdulla Mausoom as Ambassador of the Republic of Maldives to the Republic of Singapore and presented them with the letter of credence at a ceremony held at the President’s Office this morning. The newly appointed Ambassador of the Republic of Maldives to the Republic of Singapore Dr. Abdulla Mausoom attained Doctor of Philosophy from University of Birmingham, United Kingdom. Previous work experience of Dr. Abdulla Mausoom includes the post of Minister of Tourism and Civil Aviation, Minister of Environment, Energy and Water and Member of Parliament, Kelaa Constituency. Dr. Abdulla Mausoom was previously at the post of Chief Executive Officer at the Streamliners Private Limited, Maldives.